Learning how to get rid of nail fungus and yellow toenails is not that hard. In this article we discuss all the top natural methods to cure the condition. Read on to learn all you will ever need for dealing to this problem once and for all. Yellow toenails are typically symptomatic of a nail fungus infection and they are surprisingly common. There are a number of anti-fungal treatment options available from pharmacists, including chemically and naturally derived applications. However, some toenail fungus home remedies are equally effective and an inexpensive option for many people. But before you learn how to get rid of the fungus, it’s advisable that you find out what caused the yellow toenails in the first place. When you know what caused your toenail fungus, you will then be able to get rid of it faster and easier. The fungus responsible for yellow toenails is known as onychomycosis and it is estimated that 50 percent of people will be affected by this disease at least once in a lifetime. Onychomycosis is a progressive disease that usually goes ignored because the symptoms do not cause pain in the early stages of infection. Fungus infections are highly contagious and thus easily spread from one person to another, either through direct contact or indirectly when coming into contact with an effected area, such as a public shower. Whilst public showers are a common source of infection, so too are locker rooms, gyms and nail salons with poor sterilization practices. Toenail fungus can also occur when you don’t have proper hygiene, because if your toenails are always filled with dirt, it can catch fungus. If you don’t have a strong immune system, then that is probably the reason why your toenails have fungus. There are a number of risk factors that make some people more prone to onychomycosis infection than other people. Anyone who sweats excessively or wears socks and footwear that don’t allow the feet to breath is at high risk of fungal infection and yellow toenails. People with diabetes, psoriasis, poor circulation or impaired immune systems are more likely to succumb to fungal infections and yellow toenails, as are people who live and/or work in high humidity environments. Also, the older a person is, the more likely they are to contract the disease as it typically doesn’t bother young children or adolescents. Located just below the snail surface, the initial infection stage can last for several years. This allows the fungus ample time to grow and spread. Common onychomycosis symptoms include yellow toenails, hardening or thickening of the nail, a foul odor, splitting of the nail or surface pitting and the appearance of the nail crumbling or debris consolidating under the nail. The fungal infection causes these symptoms because onychomycocis feeds on keratin. Keratin is the protein that gives toenails their strength and structure. Once the keratin is removed from the nail, the nail begins to breakdown and turn yellow. There are a number of measures that can be taken to minimize the chance of infection. Simple practices such as thoroughly drying feet before putting on socks and shoes and not walking barefoot in public environments that are moist and damp with limited ventilation (such as public showers) will help. It is a good idea to avoid sharing towels, socks and shoes to minimize exposure from an infected person. Also, avoid wearing synthetic socks and shoes as these stop feet from breathing and create an environment favorable to fungal growth. It is also recommended to not wear the same footwear daily. Vinegar: According to many resources, when you soak the foot with fungus into vinegar, the fungus will be stopped from any further growth. The only way fungus can be stopped from further growth, it will need to be soaked into acid, and the only thing that is filled with acid is vinegar. Just bare in mind that when the vinegar is getting rid of the fungus, it will also take away the moisture of your feet. So, if you don’t really want your entire foot to get soaked into vinegar, then you should just soak a cotton ball into vinegar, and then place the cotton ball on the toe that has fungus. Try to keep the cotton ball on your toe for about 20 minutes so that the fungus will really be eliminated. This is the best way to receive the wonderful fungus killing benefits of vinegar with your entire foot having to lose its moisture from the harsh acidity. 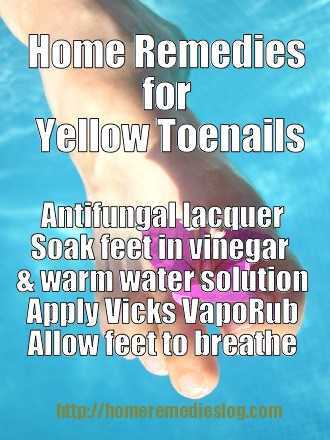 Though before you go on and try this natural toenail fungus cure, make sure that you receive your dermatologists permission, as you could possibly get an allergic reaction from the acidity of vinegar. Tea Tree Oil: Tea tree oil is also one of the most effective toenail fungus remedies, because it really kills the fungus in your toenails. According to many resources, tea tree oil contains very effective and powerful anti-fungal properties, which is why when you directly apply it on your affected toes, the fungus will magically get eliminated. Since tea tree oil is a very powerful antifungal agent, it will avoid the fungus in your toes to spread, and at the same time, it also kills the fungus slowly. Since tea tree oil is already super powerful, all you need to do is mix one tablespoon of lotion with one drop of tea tree oil, and then apply it on the toes that are infected with fungus. Apply this mixture once in the morning and once at night, and in a couple of days, the fungus will completely disappear. Tea tree oil is probably one of the most famous home remedies for toenail fungus, since it doesn’t have a funky smell and nor does it take away the moisture of your toes like vinegar. Orange Oil: Yet another means to deal a nail fungus infection is to use organic orange oil. All kinds of orange oils have antifungal properties and thus can effectively be utilized on infected toenails. Smear orange oil daily in between toenails, on and below foot nails and leave it to rest for a minimum of an hour. Lavender Oil: This oil has got a number of volatile substances and antiseptic attributes which may fight any sort of skin condition and prevent inflammation. Take equivalent amounts of lavender and tea tree oil and blend it carefully and then heat it just a little. Now, by using the assistance of a cotton ball, dab the mix beneath the top side of the toenail nail as well as the edges, thrice each day. Baking Soda: Baking soda is also one of the most famous remedies for toenail fungus, as the moment you do the toenail fungus treatment, the fungus will significantly disappear. According to many resources, baking soda is one of the best toenail fungus home remedies, as it kills the fungus very fast and also prevents the fungus from spreading and worsening. All you really need to do is place baking soda and lukewarm water directly on the affected toenail, and then make sure to keep the baking soda on your toenail for about 15 to 20 minutes. Afterwards, make sure that you then rinse your toenail with lukewarm water and thoroughly dry it, as it is best to keep a toenail with fungus dry at all times. Toenails with fungus need to always stay moist and dry at all times so that it won’t completely die. Your feet must also stay dry so that it won’t spread to your other toes. Baking soda is one of the best toenail fungus home remedies because it keeps your toe dry and at the same time it eliminates the fungus. Apply baking soda on your toe twice a day, and in about a week or so, the fungus in your affected toenail will completely disappear. Listerine: Listerine is also a good toenail fungus cure, as it eliminates the fungus fast, and the best part is that it also prevents the fungus from spreading. Listerine is just like vinegar where it can take away the moisture in your skin, which is why you should just soak a cotton ball into some Listerine, and then apply it on your toenail. Keep the cotton ball on your toenail for about 15 to 20 minutes, and then make sure to rinse and dry your toenail afterwards. Listerine kills the bacteria in your toes, so it prevents the toenails from catching the fungus. Garlic: In garlic is “Allicin”, which has antifungal abilities and hence it can be used as a home remedy for yellow toenails. For fast treatment use garlic oil blended with a proportionate amount of vinegar. You may make your own garlic oil by pressing two garlic cloves and mixing in two tbs of olive oil. Lemon Juice: Take fresh lemon juice and spread it straight into the contaminated toenail and just leave it for ten mins before rinsing with lukewarm water. This therapy must be done everyday for at least one month or even more till you notice favorable effects. Oregano Oil: Oregano oil has actually got antibacterial, anti-parasitical, antiviral, analgesic and antifungal abilities. Take 2 dabs of oregano oil and blend it using one tsp of organic olive oil. Now spread this concoction on the damaged spot by using the assistance of a dropper or cotton ball. Apply at least once a day for 3 full weeks. Vicks Vapor Rub: Smear it over your infected nails and cover the area tightly with duck tape, let it sit for up to 24 hours, keep repeating this procedure several times a day for about 2 months. Your nail fungus will completely disappear. 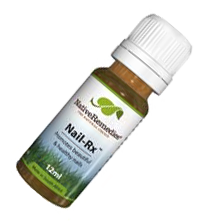 Nail-Rx – CLICK THE IMAGE BELOW TO FIND OUT MORE! Once the fungus has disappeared from your toenails, make sure that you then try your best to prevent the fungus from coming back. Always change your socks, as there could possibly be fungus and other germs that could transfer to your toes. Try to also wear open toed shoes or not wear shoes at all so that your toes will have air and lots of air circulation as well. Everyday try your best to apply baking soda all over your feet, as it will prevent fungus from going onto your toes. So, if you are one of many people that want to get rid of their fungus, then you should really consider trying one of the toenail fungus home remedies above. Once the fungus in your toenails have disappeared and you no longer have yellow toenails, make sure that you then follow the tips above so that your toenails will no longer get fungus. It is important to see a medical practitioner if a fungal infection is suspected to ensure proper diagnosis. This is because not only are yellow toenails unsightly, they are also painful if left untreated. If the infection continues to spread the toe can become tender and painful. Unfortunately, it isn’t possible to simply cure the infection by letting the toenail grow out. Once yellow toenails are professionally diagnosed the infection must be properly treated. Find out how some nail fungus remedies from Pharmacologist Joe Graedon from The People’s Pharmacy. Get free ebooks delivered to your inbox each week. Simply join our free newsletter and receive new home remedies as well. 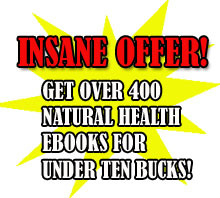 Buy my handbook, “The Big Book of Home Remedies” you can also acquire straightaway admission for the reserved members zone and this allows you to get a hold of any of our 410 and more quality health-related ebooks completely free.